“Love is the Plan the Plan is Death” Copyright © 1973 by James Tiptree, Jr. This story is an odd one. First, let me state that I really like the title, though I do find it interesting that there is no comma in the middle. However, in Byte Beautiful, the book I just read it in, the title is separated onto two lines, suggesting the pause in the middle. It is something I have always thought interesting, but I don’t have a “so what?” about it. It is just curious. As for the actual story, as I said, it’s an odd one. It is so far from human, that it is almost difficult to read. The story is about alien creatures and “the Plan,” which is their mating ritual, or natural instincts. There is never a mention of humans or any kind of space travel. This is not a science fiction story in the way we are used to viewing them, but could almost be a “fantasy” story in the way it is written. 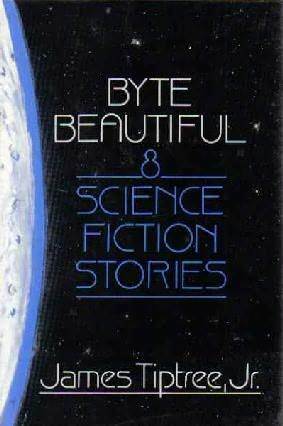 In fact, I would say this one is more in the “speculative fiction” category, which I know many people say is the less geeky term for “science fiction,” but I feel has a different connotation. However, I believe it is as most alien stories are, in that the point is to show something “alien” in order to reflect on what is human. Spoilers. So this story is narrated in first person, but to a second person “you.” However, the “I” and “you” do have conversations. The whole story is about a mating ritual, “The Plan.” Throughout the story, the narrator, Moggadeet, tries to defy the Plan. He assumes giving in to the Plan means giving in to natural, animalistic urges. There is also a fear of the cold, because it takes away conscious thought, and makes the creatures into vicious brutes. This story is strong with the theme of the fear of atavism, which is the fear of regression, of being more primitive. On this world, the main sentient creatures come in three varieties: The Mother gold, the Male black, and the Female red. A lovely description in the story is, “Gold is the color of Mother-care but black is the color of rage. Attack the black! Black is to kill! Even a Mother, ever her own baby, she cannot defy the Plan. …Red is the color of love” (Byte 75). The babies start out with gold fur, and then shed it to either black or red fur as they get older. The Mother chases away the red ones, but she tries to kill the black ones. Black ones compete to kill each other over red ones. Moggadeet finds a pinkish Red and kills another Black for her. He knows cold makes him senseless, so he takes “his” Red and retreats further to the warmth as winter comes on. There is a strange ritual where he makes silk and binds her, as a spider would, and everyday he unbinds a limb at a time to clean her before rebinding her. She starts as small as him, but once she is the same size, and a scarlet red, he fully unbinds her because he cannot help it, and they go through their mating ritual. The two use affectionate terms with each other with every sentence. Moggadeet says things like “my redling” or “my fat little blushbud” (77). This is part of their “defiance” of the Plan. She tries to defy it more than he does because she asks to be rebound after mating, and he refuses because he wants to look at her. He feels the Plan is to bind her, and since she is larger than him by this point, she attacks and eats him, which is actually the Plan. The “plot” is hard to describe because the biggest push in the story is the narrative voice, which is such a self-assured first person. As with “With Delicate Mad Hands,” Tiptree does a very good job capturing a voice that is completely unhuman. However, it does make it hard to relate to or understand the characters a bit. The point is something about mating rituals, or fighting instincts. The whole story, what Moggadeet thought of as fighting the Plan was actually exactly the Plan, itself. So, by the end, even though the narrator is quite happy to be eaten and feeding the soon-to-be Mother and her young, there is a sense of futility. There is no circumventing the Plan. And this is the title. The Plan starts as love, but then it becomes death. To have one, you must have the other. There is no escaping it. Overall, I’ll go with 3 out of 5 stars for this one. It is a good read for the narrative voice, but is just a bit too foreign to comprehend fully upon the first read. This is the other story we read for my Science Fiction Literature class. And like “With Delicate Mad Hands,” I had already read this story in HSRUF. Also like with “With Delicate Mad Hands,” I was disappointed when I saw we’d be reading this story because I remembered not liking it the first time I read it. However, I did not reread this story and suddenly like it. I still didn’t like it. After having a class discussion about it, I can appreciate what the story is doing, but I still don’t like it. My main problem with it is that it is a story told by a male character who is societally sexist, who encounters female characters he doesn’t like. This makes this a story about characters who are unlikable to the narrator, told by an unlikable character. There are no likable characters. And I have a problem with this. It is exactly the reason I don’t like Wuthering Heights. How can I sympathize with characters who I despise? While I don’t hate these two nearly as much as I hate Catherine and Heathcliff, it still has the same problem. Spoilers up ahead. You have been warned. The story starts with the narrator pointing out his “manliness” by talking about “serious fishing” and how he is not like the normal American tourists. It is supposed to be satiric and obnoxious. This is one of Tiptree’s stories that takes place in “modern” times (i.e. the seventies). It is set in Mexico, because I think Tiptree went there once, or lived there. Many of her “modern times” stories at least partially take place in Mexico or around it. The Tales of the Quintana Roo is all about stories that take place in Quintana Roo, which is a state of Mexico, on the Eastern part of the Yucatan peninsula. This one even mentions Quintana Roo, as the characters pass over it in a small, private plane. The Man (he has a name, but it doesn’t matter to the story) is trying to get to his fishing and two women (a mother and a college-age daughter) are trying to get to Chetumal. They get caught in a storm in a small plane, but the pilot manages to land them on a sandbar along a coast of jungle. The mother and the Man head to the coast in a attempt to find fresh water and get stuck over night. All is fine and normal until the Science Fiction comes blasting in. That night, some aliens come to investigate their camp, and the next morning the woman barters with them to take them back to the sandbar and then take her and her daughter with them off Earth while the Man freaks out. The details aren’t really important, because it is not the story that is important. Here, the symbols are very important. Again, the male character is the symbol of society. He is not overwhelmingly sexist, as the captain in “With Delicate Mad Hands” is, but he is still a product of his society. He feels women should feel helpless or threatened by a man. He wants to be the valiant protector. He wants to be desirable to the women because he is A Man. So when the women a) do not go into hysterics when they crash, b) show no interest in him, and c) end up helping him because he breaks his leg freaking out about the aliens, his world sort of gets turned around. Also, there is a subplot about the fact that the mother isn’t married, and comes from a long line of women who would go on vacation, find a hot guy, sleep with him, get pregnant, and go back with a baby. (Her daughter’s biological father is Swedish. She leaves her daughter alone with the pilot so that she can get pregnant and continue the tradition.) This completely blows the Man’s mind. He can’t comprehend women not needing men — the women men don’t see. In the end, the women are bored with Earth, and its never-changing social sexism, so they go off with the aliens. Here are characters who feel “alienated” and connect with the “aliens” more so than with humans. In this way, the “alienated” character becomes the “alien” character. 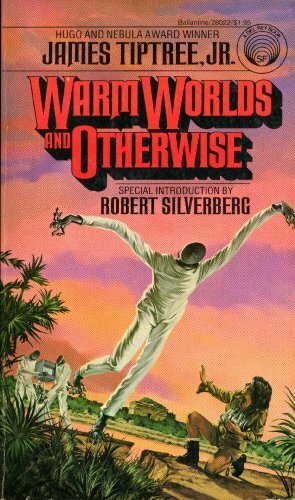 The Man cannot comprehend the women to the extent that they become alien to him, even as much as the real, satellite dish-headed aliens are (check out the cover of WWaO — the cover art is from this story). Overall, this story gets a 2 out of 5 from me. I appreciate what it is trying to do with the alienation=alien concept, but it still has the problem of dually unlikable characters, which is something I personally don’t enjoy. 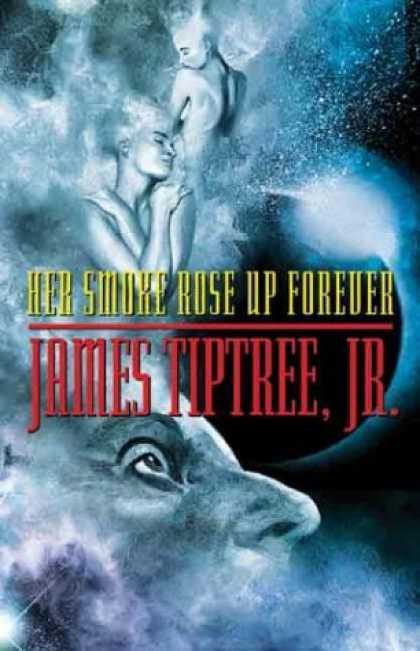 I need to find a 5 star story to do next, otherwise you all will think Tiptree writes crap. I promise you, there is a reason she is my favorite author. P.S. You can read this story online! Just click here.